In a recent report by techyville.com, famed painter Fiona Hawthorne is a sufferer of permanent Bell’s palsy. Most recently, Fiona gained national attention as being the painter of Barack Obama’s self portrait, which hangs in the Library of Congress. Nearly two years ago, Fiona became afflicted with the condition. 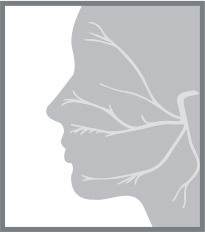 Initially, she believed that she was suffering from a stroke because half of her face became paralyzed all of a sudden. Before receiving a diagnosis of Bell’s palsy from an experienced facial paralysis surgeon, Fiona suspected her facial paralysis may have resulted from a previous ear drum surgery that could have caused harm to the facial nerve, though it was later determined that this was not the case. Fiona has yet to undergo any type of surgery to correct her facial paralysis, thought there are several different treatments that may be beneficial to her, including Botox therapy. 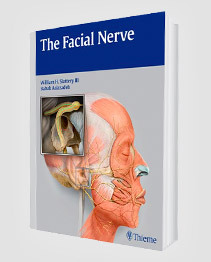 Bell’s palsy is a form of facial paralysis, which can occur without warning and is not fully understood by researchers, though it is believed to happen as a result of an activation of a strand of herpes virus. Most people who suffer from Bell’s palsy make a full recovery in just a few months without the need of medical help or surgery, though in about 10% of cases, permanent Bells’ palsy can occur. In cases such as this, there are several different effective surgical and non-surgical treatments that can help promote facial reanimation, one of the most popular being Botox therapy. Because Bell’s palsy is usually not permanent, Botox has become a popular treatment due to its non-invasive nature. Botox works to relax the paralyzed muscles, which in turn promotes more symmetrical and balanced facial features. Botox is also a successful treatment in combating synkinesis, or involuntary muscle twitches, that sometimes occur alongside the condition. To learn more about the positive effects of Botox therapy in people with Bell’s palsy, please contact Dr. Azizzadeh today. 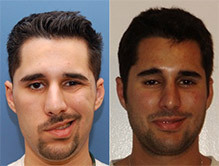 At the Facial Paralysis Institute in Beverly Hills, Dr. Azizzadeh and his staff take extreme pride in offering the most advanced surgical and non-surgical methods for the treatment of Bell’s palsy and facial paralysis. To schedule your initial consultation today, please call (310) 657-2203 to speak with an expert facial paralysis surgeon. 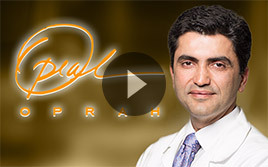 As a leader in his field, Babak Azizzadeh, MD, FACS, utilizes the most cutting edge treatments for patients suffering from facial paralysis or Bell’s palsy to improve facial symmetry and promote facial reanimation. If you’d like to speak with Dr. Azizzadeh today, please contact the Facial Paralysis Institute to learn more about what can be done to help overcome Bell’s palsy.